EASYLABEL is the easiest to use barcode and RFID label software available on the market today. 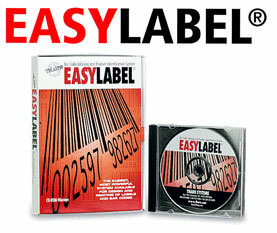 EASYLABEL 5 includes every method of making label design and printing easy, fast and accurate. You don't have to be computer literate to fulfill complex labeling requirements. EASYLABEL 5 incorporates an RFID Wizard and an EAN/UCC-128 Wizard to help meet all of your current and future label design requirements. .